Are you within the BID boundary? If your business is located within the boundary, then you are included in the BID. 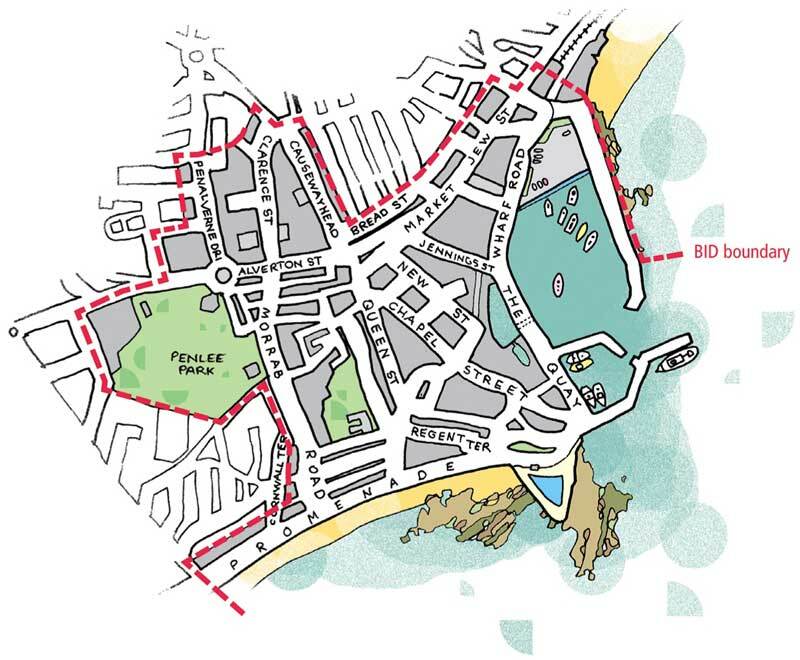 Penzance BID has a successful at ballot, with a 77% majority and started on the 1st June 2015. Every business within that boundary, with the exception of those with a rateable value of below £6,000, will be liable for a 2% levy of rateable value. If your rateable value is below £6,000 and you want to reap the benefits of the BID you can become a voluntary member; please contact Jessica Colliver, Penzance BID Manager for more information.